This text is also available on LinkedIn Pulse. It is quite a challenge for an e-commerce to stand out in a market crowded by infinite options that are just one click away, right? And it gets even harder when we talk about customers experience (CX) and their perception of the brand, as the interaction is not face to face. Always bear in mind that customers perceive the entire process of purchasing as an experience that can be either remarkable or completely sad and traumatic. It’s no longer enough to just offer products on your website and close the door after the customer’s checkout, because they might need a hand with a product or to talk to you in case of any delivery delay. After that, they will examine all the pros and cons of the whole experience to obtain their perceived value about your company and finally share. A satisfied or happy customer will recommend your company when asked to do so, but a delighted customer is your brand’s best promoter as they will likely share their amazing experience on social media, on your website and to whoever they can suggest your e-commerce too. However, there are always two sides to every story, and while you can get tons of recommendations made after a positive experience, an angry customer that had a negative experience with your shop will also make sure the world knows how bad their expereince was. Each culture will absorb this differently, and they can share it separately too. As a Latin American sales professional, I can say with certainty that this cultural difference has an important role when selling cross-border. It’s very important to mention that in Latin America customers are more sensitive to their interactions mainly when purchasing online. 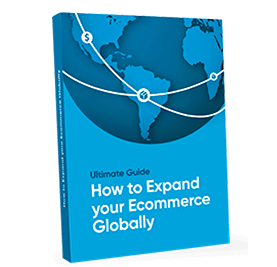 This is a tip for cross-border ecommerce merchants that want to sell in this region. Here, we’ve listed 03 lessons to guide you in offering a great customer experience so your customers will want to spread the word about your business, helping to increase your e-commerce presence within the market. 1. Listen to your customer and care about them: your business reputation relies on it! First of all, do you think that your company is customer-focused? Of course your answer would be a huge “yes”. But, please make sure that your answer is based on the high-quality rapport you have with your customer and not just because you have a cool website design and quality products. These attributes only mean that you are creating the need for online buying the product available and a marketing appeal, and this is far away from being customer focused. It’s very important to increase the scope of customer’s feedback. If they can’t reach you or don’t receive a word after reporting a problem through email, there are a lot of reputation websites at their disposal to let off steam. In Brazil, customers have Reclame Aqui, which is an online channel where customers can expose their dissatisfaction and make other customers aware of it. About 600k customers per day research companies’ reputation on the website before purchasing a product or service (whether it is online or not) and it is all for free. With, more than 15M customers registered, many customers go straight to Reclame Aqui before even calling or emailing the company’s customer service support team to complain or seek a solution. Regarding Mexico, they have a government bureau called PROFECO (Federal Attorney’s Office of Consumer) which promotes customer’s rights based on the Federal Law of Protection to the Consumer. They also have Portal Del Consumidor where customers can publish their complaints just like Reclame Aqui in Brazil. Customers can also count on global online review communities, such as Trustpilot. For Latin Americans, these websites work to their advantage and work as another avenue to receive customer support. With strong followings, the frequency of how often e-shoppers rely on this infomration to guide their shopping choices is well-known. About 80% of shoppers trust online reviews as much as personal recommendations from friends and family. The solution? To offer a feedback space on your page and when you receive a review, do not forget to answer it: customers love when their voice has been heard! As we don’t live in a perfect paradise, you might receive negative feedback sometimes. The golden rule: don’t freak out! Take a breath, stay calm and give a positive response. That way your customer can feel that their feedback is important and that customer opinions matter for your company. This will build customer trust and make them keep on purchasing from your e-commerce and recommend it. 2. Don’t leave your customer hanging there. Is there anything more annoying than be left hanging and waiting on an email reply or waiting a lifetime to have your call answered by customer service? If you don’t like it, there’s no reason to make your customer go through it too. The time response from your customer service team guides the shopper’s perception of your company. Investing in a customer service department might sound clichè, but once your time response improves and you can communicate properly with your audience (when talking about cross-border e-commerce, you must have staff who can talk to customers in their own language), your conversion rate will increase as much as your revenue because you will retain customers and they will bring you new shoppers. Don’t forget: The customer is 4x more likely to buy from the competitor when the problem is services related than if it was product/quality or price related. It’s highly recommended that you create an FAQ section on your site for faster problem solving capabilities by the customer. Many customers will try to search for the answers before getting in touch with your support team. Another simple tip is to provide the tracking number to all of the customers for every purchase because one of the main complaints is that they cannot track their products and then need to send an email to the e-store asking for shipping details. This might reduce the number of messages and avoid customer’s complaint. Your task is to make your customer’s experience amazing and is complete when they are delighted by their experience and full of good memories from shopping at your e-commerce store. This will turn them into loyal customers for you! 5x as likely to purchase again? 5x as likely to forgive any slip-up on the process? 4x as likely to refer and share positively? Consider creating a loyalty marketing program or send a discount coupon when customers achieve specific purchasing amounts. You can also feed the e-shopper with information about the trends of the product/service bought to stay tuned for the latest news. When you listen to your client and show them that you really care about making their experience awesome, the customer delight becomes a natural path on how your actions build a good reputation and distinguish your brand from the rest.